I thought I might have written about the first Jo Nesbo book I read, but it appears I haven’t. I don’t know much about Jo Nesbo, other than the fact he pronounces his name “Yo”, rather than “Joe”, being Norwegian, which I think is a cool name. This is the second book in his series about detective Harry Hole who works in the Oslo police investigating murders. Well, according to something I read, these are actually the 3rd and 4th books, but the first two weren’t translated into English. The covers of most of his books have a sticker saying “The next Stieg Larsson”, which probably helps his sales figures a lot, being able to cash in on the success of “The girl with the dragon tattoo” et al. They do have a bit in common, in terms of being translated Norwegian books about investigators who are misfits. But other than that, they differ quite a bit. Harry is a mostly former alcoholic, a detective who does things his own way and doesn’t really get on with most of the police force (now that I write that, it doesn’t sound very original, but it does work, honest). In this second book, he is brought in by the robberies unit because a bank robbery included the murder of a cashier, and an ex-girlfriend commits suicide hours after he is the last one to see her alive. The book entwines the 2 investigations as he pursues the truth through a complex and tortuous path. I really liked this book, as I liked the first one (Redbreast). Nesbo’s characters are nearly all misfits in some way, from the police to the suspects. There’s not a lot of happiness in his world. 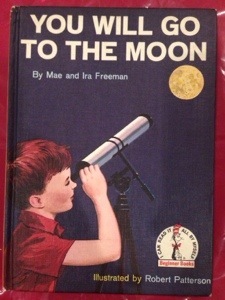 But the books are real page-turners, and I sat up fairly late a few nights this week wanting to get to the end. I’m not a major reader of crime fiction, but I like this. Recommended! India is a place that I haven’t seen enough of, and don’t know enough about. But at least I’m lucky enough to have been there twice. And let’s face it, you could spend a lifetime exploring India and not see it all – it’s a big place! 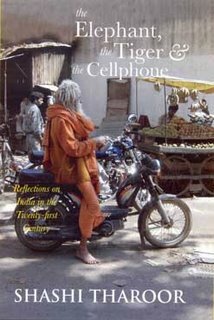 “The Elephant, the Tiger and the Cellphone” has been sitting on my bookshelf for far too long (since my last trip to India in fact), but I finally got into reading it this year, and I am really glad that I did. Shashi Tharoor is a former UN diplomat, so he knows India, having grown up and spent much of his life there, but he also has enough of an outsider’s view that he doesn’t assume too much knowledge of the country for the international reader like me. The book is a series of fairly short and easy to read essays on all of the major subjects of Indian life – politics, religion, history, economics, and of source cricket. What is clear is that the writer has his own opinions on Indian life, and although he loves his country and is very proud of it, he is honest about the good and bad of India in the 21st century. Although this is a forward-looking book, some of my favourite parts were about Indian history – the campaign for independance and the people who led it, the pain of partition, and the politics since then. I’ve always known a little about Gandhi, but not so much about Nehru and others, and I think my next non-fiction reading might be to find out more about them. His answer to that question is that India is at its best when it embraces the diversity that spans languages, religions, castes, ethnic types – pretty much everything. India is proud of its democracy, the massive exercise that ensures that votes are gathered from every corner of the country, and rightly so. And it’s proud of its secular society, where prime ministers, politicians, cricketers, and celebrities come from all of the different faiths. India will be the most populous nation on earth before too long, and with its combination of science and technological leadership, and a massive diaspora of Indians all over the world, it’s a culture that we need to take notice of. I really enjoyed this book, and it makes me want to find out more about a country that I have even greater respect for now. “The Midnight Falcon”, by David Gemmell, page 137. The first sentence that contains this shocking news is “Sole owner of a rundown circus with a mountain of debts and only two assets, the little slave Norwin and the aging gladiator Rage”. 50 pages later, you’ll be pleased to known that Norwin is still alive. I will post further developments as I get to them. I always knew that sooner or later I would come across my name as a character in a fantasy or sci-fi book, it was just a matter of time. Today I finished reading The Protestant Revolution, a book I got at Christmas. My knowledge of the history of my own religion is a bit poor, so when I saw this I thought it was a good opportunity to improve it. The book goes into reasonable depth about the theological twists and turns of the story of protestantism, from its difficult birth through to it’s impact on the world through some significant people like William Wilberforce and Martin Luther King. It also goes down some of the side roads and dead ends along the way, which is always interesting. It’s definitely a history book more than a theology book, but it’s a good balance, and I know more than I did before I started. reform the Catholic church, and never intended to create a split from it. It’s depressing to read about the history of the religious wars that raged across Europe as various rulers tried to assert their faith over their people. magisterial reformers and the radical reformers, and how that continues to echo through lots of contemporary situations. The magisterial reformers believed that all of society must be reformed, and so were compelled to force their beliefs on other people to “bring them into the light”. However, the radical reformers were happy to break off from the main body of society (or the church) in order to follow their beliefs on their own. I think this fits into a lot of situations where we have the choice of trying to change and improve something from within, or walking away and starting again. It also raises the question of trying to impose the rules of your religion on the wider society. If that is anti-slavery, it’s a good thing, but if it is anti-gambling, or against Sunday shopping, is it still as valid? And is it our duty regardless? Where does religious freedom fit in, and respect for other beliefs. The one good thing that all those wars did give us was that the people in charge decided that the cost of state religion was too high, and they gave us the freedom to make our own decisions on matters of faith. It would nice if that kind of freedom existing everywhere in our troubled world.